Halloween and Christmas seem to have no shortage of Holiday themed movies and specials, for Valentines there’s no shortage of romantic movies to choose from, and for Easter there’s several different Biblical movies that are more than fitting to watch at the time. Well, what about Saint Patrick’s Day? This has got to be the one popular holiday that has little to no films or specials to watch during the season. 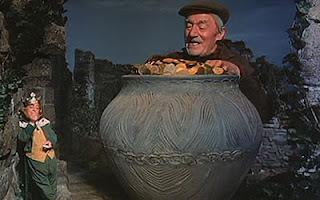 However, that’s not to say Saint Patrick’s Day doesn’t have anything, so for this post I’ll highlight some movies and specials that you might just want to check out for Saint Patrick’s Day. 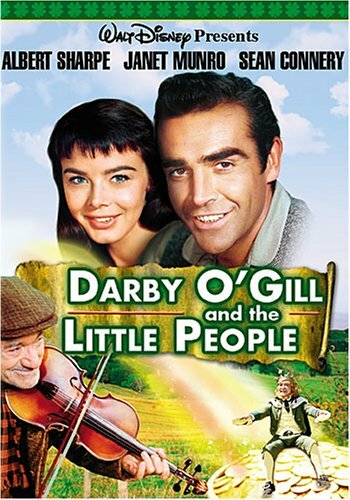 Okay, let’s start things off right with Disney’s “Darby O'Gill and the Little People”, my personal favorite movie to watch around this time of year. The story revolves around a gardener who meets with a clan of Leprechauns and their king. 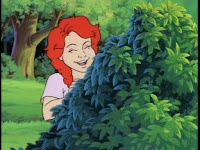 The two become close friends, and the king soon finds himself owing the gardener three wishes. It’s a very simplistic experience, but the highlights are just too good to pass up on. 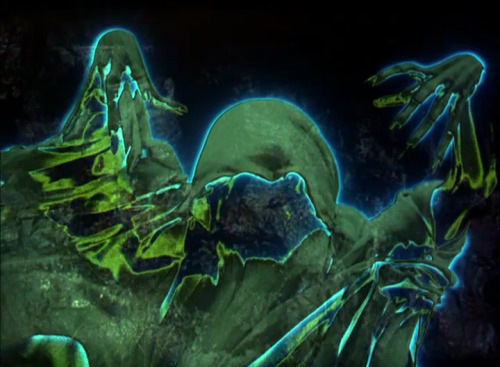 It’s a movie that seems to encompass every legend that revolves around Irish lore. 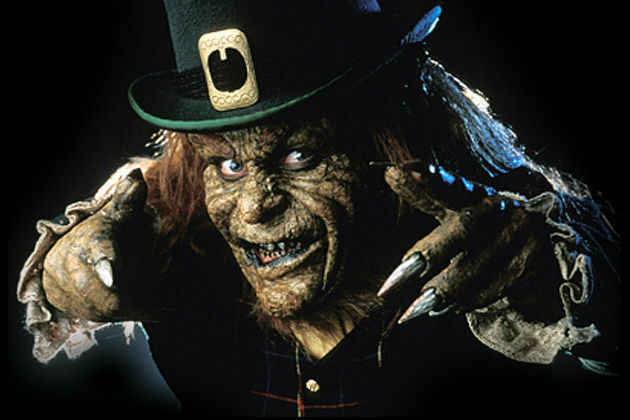 We have an underground world full of Leprechauns, a Banshee that haunts our main hero’s and all kinds of little magical experience and adventures that take place in the beautiful Irish country side. It’s extremely over the top in it's presentation, but it’s also very lovable and charming. 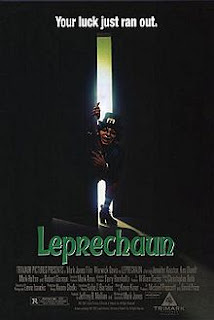 The effects for the time are incredible spectacles, there’s some upbeat song numbers, the characters are likable, the atmosphere is heavy, and it just puts me in the right mind set for Saint Patrick’s Day. While this film has nothing to do with either the holiday, or Irish legends, it’s still set in Ireland, it looks amazing, and it’s just a nice film to watch during the green season. Other movies like Ron Howards “Far and Away” are a little Irish centered, but this film is just swimming in it. 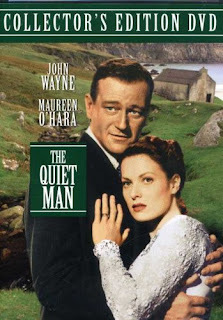 This is one of John Wayne’s best departure’s from his usual Western setting, and the story revolving around a romantic relationship with Maureen O’Hara is every bit as charming as it is funny. These are two great legendary actors that have stared in a lot of really good movies together, but I think this was their best. When the movie segues between drama, romance, and comedy, it’s all very genuine, and the Irish setting just creates a warm atmosphere that makes this a worthwhile film to check out. 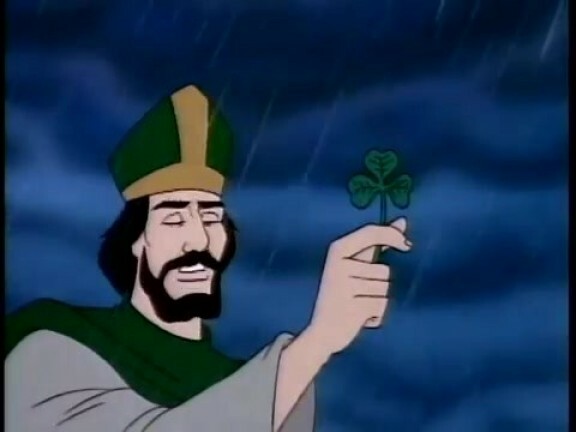 So I’ve covered movies that either revolve around Irish legends or just happen to be set in Ireland, but how about a special that actually revolves around the Saint that the holiday is named after. In the early 90’s “CCC Of America” released a series of nine animated half hour short films that revolve around Catholic Morals and famous Biblical characters. This was one of their many terrific films, revolving around the story of Saint Patrick. I must say, for a 30 min short film, it tells everything you need to know about this Saint, and why he was so important to the Irish people. The films message is good, the voice acting is decent, and while the animation is exactly high art, it is still really nice. 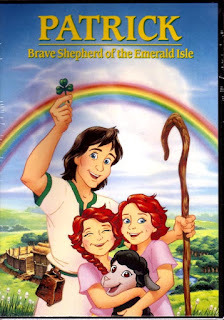 It’s just a sweet little special to watch, and a perfect one to teach kids about the history of Saint Patrick. I’ll be honest, I have actually never seen this movie, and really don’t care to. It just looks like a typical Disney channel movie, with the typical tropes that come with those films. 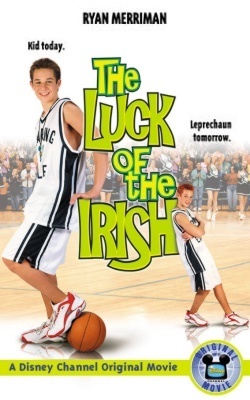 From what I understand, the movie revolves around a boy battling for a mystical item that he has to keep away from an evil Leprechaun, then there's lots of Basketball and ... “meh”. However, many of my friends and even co-workers that grew up with the film consider it something of a guilty pleasure, much like how “Hocus Pocus” is a guilty pleasure for me to watch around Halloween. So if you were among the generation that grew up with this film, it’ll at least give you something to watch and look back on during this particular holiday season. Oh yeah, now where looking at the really silly, really stupid, yet still kind of amusing “Leprechaun”. This 1993 horror movie was one of the first to take a colorful holiday mascot and turn it into a scary, murdering villain. The movie revolves around a young and very attractive Jennifer Aniston (in her first feature film) who’s staying in a house with secret magical gold hidden inside. Soon, she and group of people are fighting off a menacing Leprechaun that’s hell bent on getting his gold back. 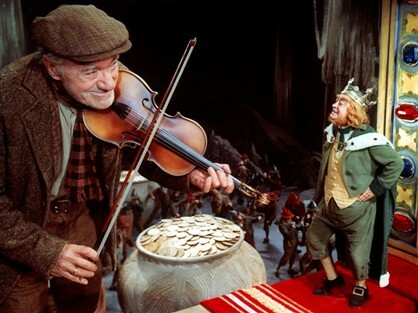 Warwick Davis plays the beastly little Leprechaun and he is a lot fun to watch. The movie itself is terrible, but in a so bad its good kind of way. I don’t think I’d recommend it, but as far as trashy entertainment is concerned, this is kind of fun to watch. There were several sequels that followed, but they were also really bad. 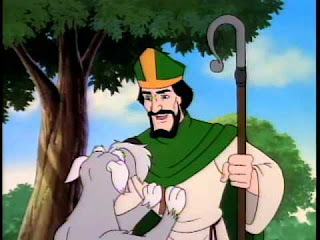 I think that’s enough, I know there are some other Saint Patrick’s movies and specials out there, including some cartoon episodes from TV shows I grew up with. 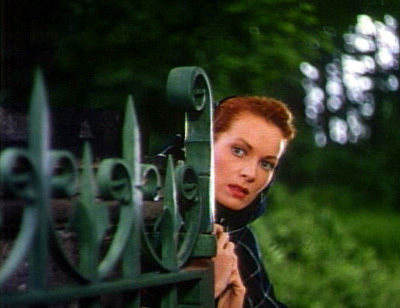 Overall, if you want something to watch for the green holiday, I hope I’ve given you some decent options.